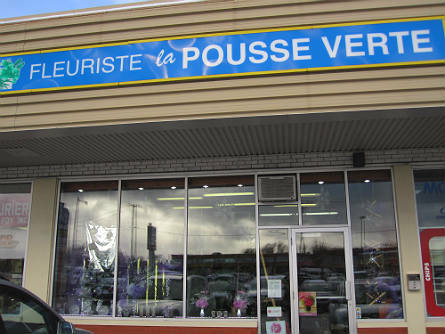 Fleuriste La Pousse Verte proudly serves the Ste-Foy area. We are family owned and operated. We are committed to offering only the finest floral arrangements and gifts, backed by service that is friendly and prompt. Because all of our customers are important, our professional staff is dedicated to making your experience a pleasant one. That is why we always go the extra mile to make your floral gift perfect. 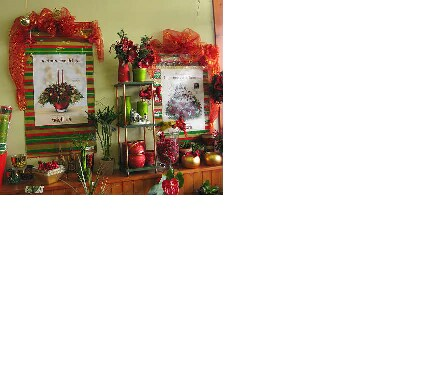 Let Fleuriste La Pousse Verte be your first choice for flowers. Veuillez prévoir un délais raisonnable pour effectuer et livrer votre commande. Our shop will always be closed on the following holidays: Christmas Day, New Year's Day, St-Jean Baptiste, Confederation, and Labor Day. Our shop serves the following areas in Quebec: Quebec city, Charlesbourg, Silley, Cap Rouge, Loretteville, Neufchatel, Beauport, and Ste-Foy. Nous livrons a Québec et ses environs, Ste-Foy, Sillery, Cap Rouge, Loretteville, Neufchatel, L'ancienne-Lorette, Charlesbourg, Beauport, St Romuald et St Nicolas. If you have any questions or need more information, please contact us by e-mail or phone. We're always here to serve you and make your flower-sending experience a pleasure. Orders must be received before 10:00 a.m. in the recipient's time zone to assure same-day delivery. Orders received after that time will be delivered the following day.